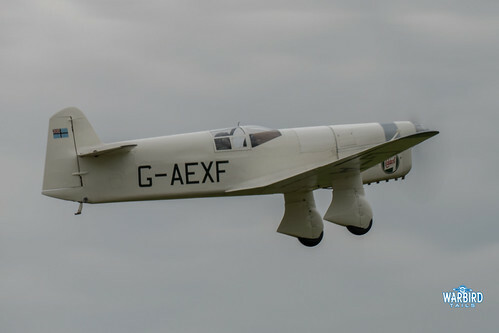 Traditionally the “Shuttleworth Pageant” slot for the year, 2017 saw a spacial “Heritage Day” event to tie in with 175 years of Clayton and Shuttleworth. The company produced agricultural equipment for many years and even built a number of Sopwith aircraft during the First World War. On the ground there was plenty to see, with displays and demonstrations celebrating the company’s anniversary. From Agricultural equipment and vehicles, to the Brooklands Museum Sopwith Camel, painted to represent a Clayton and Shuttleworth built machine. The wide range of Clayton and Shuttleworth machinery made for a very impressive, albeit slower paced, vehicle parade. There was a fascinating pilot and engineers chat of the Collection’s Sopwith Camel – with Dodge Bailey giving a great account of the challenges and limitations of an aircraft that has achieved iconic status over the years. Bob Richardson of the Northern Aeroplane Workshops explained the incredible work that went into constructing the aircraft over almost 20 years. The Heritage Day event was planned to be the long-awaited debut display of the Camel, however high winds on the day prevented this from taking place. Alongside the ground activities, the pre-show also offered fantastic close access to the aircraft taking part in the flying display. 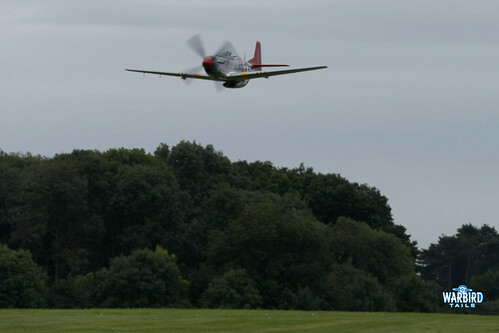 The whole of the top paddock had been opened up to allow visitors the chance to see the display aircraft without barriers as part of the unique “uncovered” portion of the day. This included the unique sight of two Sopwith Camels together. The Brooklands example performed an engine run for those who had been assembled for the Collection’s Camel talk. This provided a welcome sound of a rotary on a day where any taking to the air seemed unlikely. Those high winds played havoc with the planned flying display. The pre-published list for the show was set to include every airworthy collection aeroplane. With high winds the flying that could take place was limited, though the Collection managed to field and impressive line up despite this, with many of the heavier aircraft putting on great displays. The Fauvel glider started the flying display with its usual breathtaking aerobatics, this was well complimented later on by more modern glider aerobatics from the Lunak. You would be hard pushed to find two more impressive glider displays than these two, especially the Lunak’s tumbling flick rolls. The Collection’s classic racers, the Comet and Mew Gull put on their usual polished performance in light that was more inline with an evening show then a September afternoon! 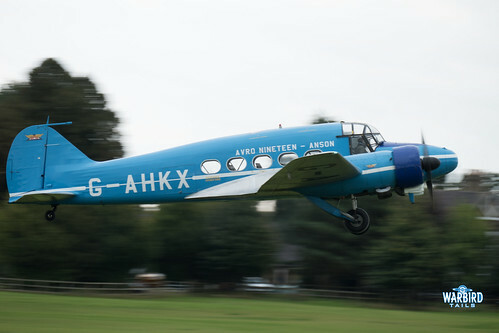 This show saw a particularly spirited display from the Old Warden based Dragon Rapide. 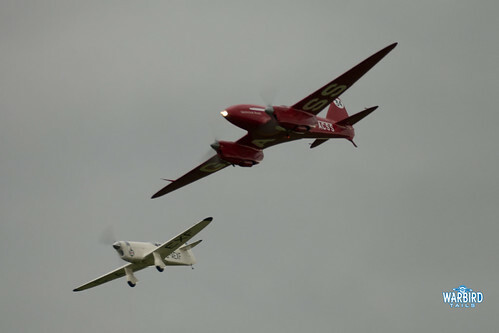 The classic biplane was put through a graceful series of passes after a short pairs routine with BAE System’s Avro XIX. 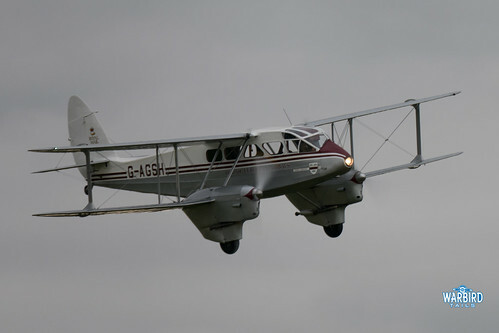 While wind conditions prevented the majority of the collection’s pre-war aircraft getting into the air, the Avro Tutor and Hawker Tomtit were able to put on a short display in the tricky conditions. 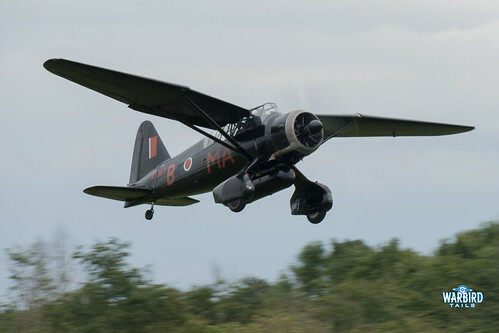 This show also saw the now familiar Shuttleworth pairing of Lysander and PO2 with the Lysander making its presence felt with plenty of fast, close passes. For once though, the PO2 got to display on its own, without being chased by the Lysander! Without a doubt, 2017 will go down as the year of the Hurricane and this show was set to see the third instalment of the Old Warden Hurricane trio. Sadly Hurricane Heritage’s R4118 had developed engine issues the previous week and was out of action. 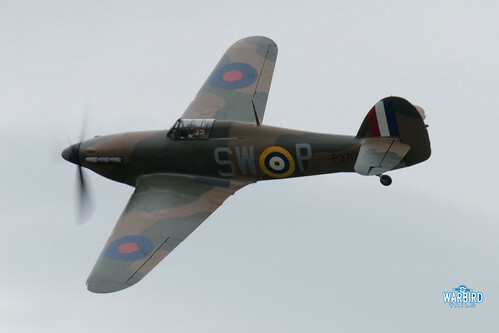 This left the Collection’s Sea Hurricane to display alongside P3717. This was one of the strongest displays of the day with countless flowing pairs displays breaking off into a short tail chase before we were treated to another trademark Stu Goldspink solo display in P3717 combining high level aerobatics with low level sweeping topside which are guaranteed to leave an impression! While the main focus of the day was on the collection aircraft there were a small selection of visiting acts. 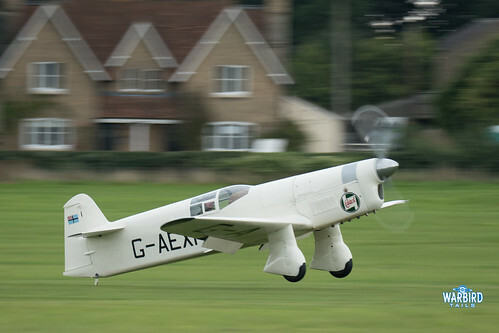 The standout of these was the Old Warden return of Peter Teichman, who had not yet performed at a 2017 show. Peter brought his P-51D Mustang up from North Weald for the display and delivered one of the best displays I’ve seen him fly. A seemingly endless series of loops and rolls unfolded before the crowd before a show-stopping final run along the runway that will long stand in the memory! The final act of the day was the Global Stars, the team have been getting more and more UK bookings over the years and certainly deliver a unique show with some entertaining twists on familiar formation sequences. The inclusion of the physics defying solo displays always accent the performance perfectly. 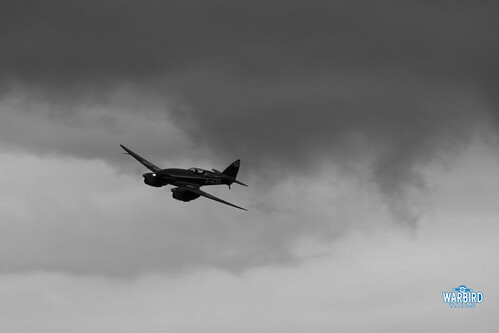 Sadly the Heritage day flying display was cut short by weather conditions as turbulence was getting too unpredictable for the remaining aircraft to fly. The collection managed to put on another brilliant show in tricky conditions and the event served as a perfect way to mark this historic occasion. I must apologise for the limited subjects in the images for this report, unfortunatley I managed to lose a number of files from this event including plenty of the wonderful uncovered access. Interesting display that I would have loved to have attended but family illness prevented me from being there unfortunately. 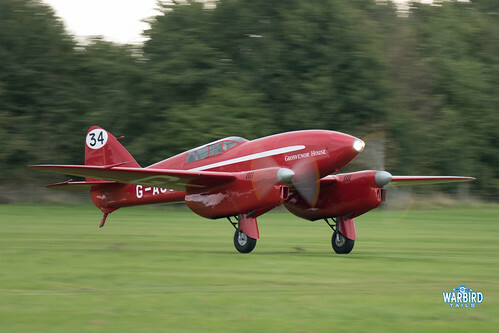 Good to see the Comet airbourne again and I understand that the green Comet is being restored to flying condition in Derby, whilst the replica built for the Australian TV series about the race is being restored at London Colney. Be nice to get them all together at some stage……..
Hi Andy, thanks for your comment, sorry to hear you were unable to attend. There is a replica aircraft G-RCSR being worked on at Derby alongside the other original “Black Magic” G-ACSP. The London Colney example I believe is being restored to ground running condition and the two Derby examples should take to the skies in the future, hopefully alongside G-ACSS! You are right that the London Colney replica is to be restored to ground running condition at some point hopefully in the near future, money and time permitting (as ever). I was very interested to read that there is another replica being worked on in Derby in addition to Black Magic. I have just started volunteering at the de Havilland Museum so I will ask them what they know about it.